Upgrading the database is done with ‘psconfig -cmd upgrade -inplace b2b -force -cmd applicationcontent -install -cmd installfeatures’ After running this command I noticed that the checking the status of the server with (get-spserver servername).NeedsUpdate would work fine on the SQL server, but running against the SQL server from the Sharepoint Server, it would tell me the database needed updating. After starting the service on the sql server instance, we wanted to get the SharePoint Server working as originally intended. After a long time of troubleshooting, our next step was to uninstall the SQL Native Client and reinstall it. As I went to uninstall the Native Client, Add/Remove programs told me the package was not installed. A repair or modify would not work either. Opening Regedit and searching for Native Client under HKey_Classes_Root\installer and deleting this key meant I was then able to reinstall the NativeClient. We then tried starting the service and this time it worked. The strange thing is that some communications between the SharePoint server and the SQL server were obviously working fine – the database on SQL was created with no problems and SharePoint could see the data – it’s just weird that the initialising/upgrading of the database required the SQL native client but did not give any useful information that pointed to this fact. I’ve never been able to get Google Music working in Firefox. Ironically, IE was the only browser that I could get it to work in. I could log in, see all my music but whenever I clicked on a song to play, I would get “Oops, we have a technical issue:Please refresh this page in your browser to get back to listening to your music. If issues persist, make sure you have Flash enabled and working.” Naturally I am already at the latest version of flash and clearing the cache etc didn’t work. I searched this afternoon and came across this thread which recommended adding music.google.com to the flashblock whitelist and sure enough it worked. Thanks to JackieGleason who posted the question on their linux box, fixed it themselves and then posted the solution. Using firefox on my main computer at home this morning I started to get a message stating “openid provider login status returned an invalid ssl certificate” and it took me a couple of minutes to work out how to fix this. 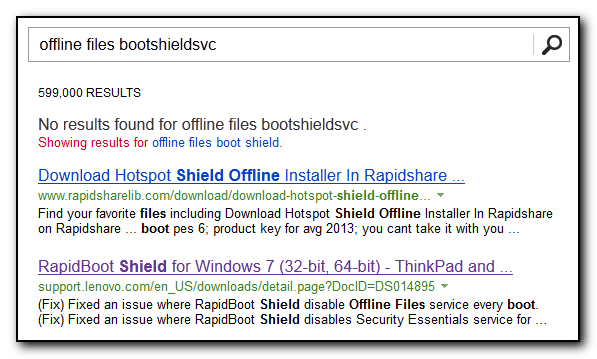 About 2 years ago, I installed the Verisign Labs PIP seatbelt extension for firefox. This enables me to sign in with an OpenID account and not have to pass my real credentials across the internet all the time. This works great for securely signing into my WordPress account without passing my credentials in cleartext when I am at a conference etc. However, Verisigns certificate expired a couple of days ago and they replaced it with a new one. Unfortunately it seems that the seatbelt extension knows about the old certificate but does not trust the new one. The solution is quick and easy, but not obvious from the error message. However thanks to Doug at TakeALeft from back in 2009, you just need to update the seatbelt extension. In firefox go to Tools, Addons and scroll down until you get to the Seatbelt extension. Select Options and then click on the OpenID Providers tab. Note that in my screenshot above, I have already updated mine, but select the Provider and then click Update. 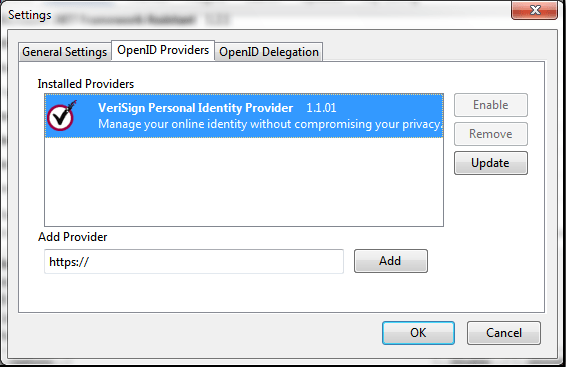 You will then be prompted with “Your Primary OpenID provider has published a new configuration file. Say OK to this message. OK your way out of all the dialog boxes and the error message is no more.